A Senate committee is considering a bill (SB 731) to allow students to carry concealed weapons on college campuses in Missouri. The bill, proposed by state Sen. Brian Munzlinger, R-Williamstown, drew a strong reaction from both supporters and opponents during a hearing today. Supporters of the measure see it as building on the concealed carry legislation from 2014, which lowered the legal age for a concealed carry permit from 21 to 19, after the legislature overturned Gov. Jay Nixon’s veto. “If I didn’t go to college, and I’m 19 years old, I could get a concealed carry permit. (It's) not a problem because I’m allowed by state law," said Jake Buxton, a student representative of Truman State University College Republicans. "However, if I step foot on a college campus, I’m somehow not allowed to [carry a concealed weapon]. We have to be able to protect ourselves,” he said. Supporters argued that anyone who fires a weapon illegally will be subject to a court of law. 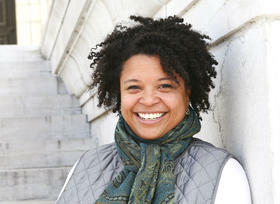 But state Sen. Maria Chappelle-Nadal, D-University City, said she did not place as much faith in the legal system. She spoke about the racial inequities in the criminal justice system and the bill’s failure to address the racial undertones of gun violence in Missouri’s urban areas. All 13 four-year public universities in Missouri oppose the bills, as well as the Associated Students of the University of Missouri, an organization that represents 77,000 students. Some of the bill's opponents said the bill should have a more precise definition of "higher education institution." “I just can’t stand here before you and suggest it would be a good idea to conceal carry in Barnes Jewish Hospital, St. Louis Children’s Hospital or any of the other facilities that are intertwined with Wash U’s campus,” said Sean Grove, a representative of BJC Healthcare. 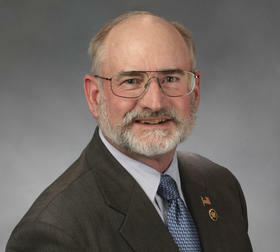 Munzlinger’s bill allows for institutions to opt out of the concealed carry provisions if they agree to station armed guards and install metal detectors at every university building entrance, a measure that Clif Smart, president of Missouri State University in Springfield, said would cost $45 million for his institution alone. 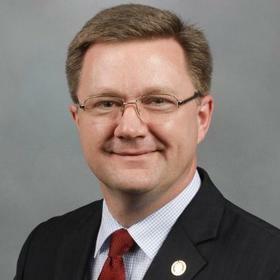 State Sen. Bob Dixon, R-Springfield, is introducing a similar bill (SB589) but one that doesn’t give institutions the option to opt out. “Making good people helpless doesn’t make bad people harmless,” said Dixon during the hearing. Supporters of both bills said the process to obtain a concealed carry permit is meant to weed out reckless individuals so only fiscally responsible and academically focused students would be allowed permits. They said this mitigates the danger of mass shootings on college campuses. But Smart said mass shootings are not the only concern. “The leading cause of death among college students is suicide, and allowing ready access, particularly in residence halls, to firearms would likely increase the already-too-high-rate of suicides on college campuses,” he said. He also noted that at least half of students on college campuses binge drink, which is not conducive for responsible firearm handling. “There are narrower ways that you could accomplish your objective and yet maintain safety of students,” said Smart. The committee will vote on the two concealed carry bills at a later date. Mallory Daily is an intern in the Jefferson City bureau of St. Louis Public Radio.